These posts are for various Department & Corporation. No application fee for PH candidates. The candidates who had applied for these Clerk posts under earlier advertisement no.08/2015 need not apply again. 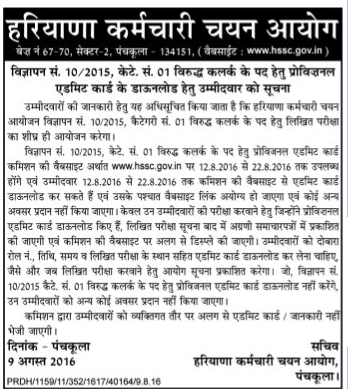 Starting date for online application-10.05.2016. Last date for online application-20.05.2016. Mobile phone and other Electronic devices are not allowed in the exam.